Vegan Cream of Broccoli Soup w/ Zucchini + Easy Money Saving App! This easy, Vegan Cream of Broccoli Soup with Zucchini is a nourishing, clean eating recipe that is so delicious and simple, you’ll come back to it again and again! Plus: save on your next grocery bill with the Cash Back Rebate App, Ibotta! 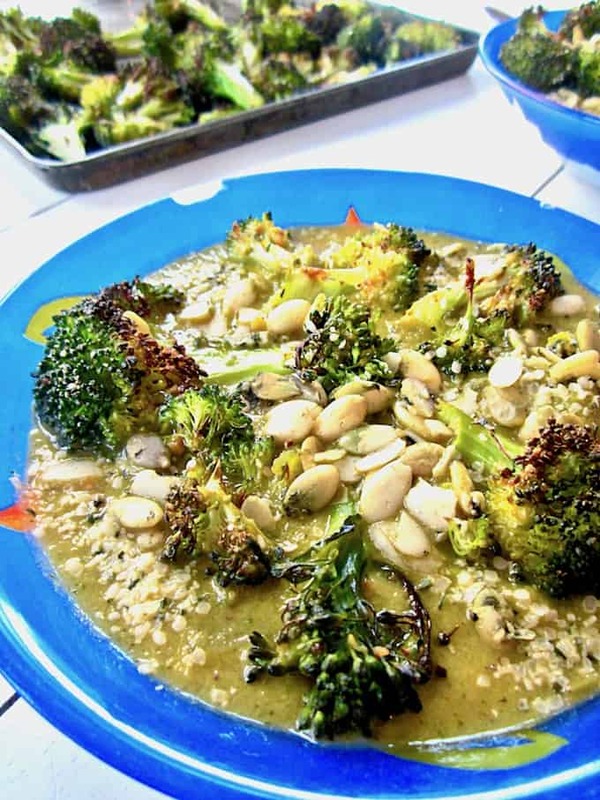 You’ve found it with this Vegan Cream of Broccoli Soup! Some of the creaminess comes from the So Delicious Organic Almondmilk with Cashews that I just found at Walmart. 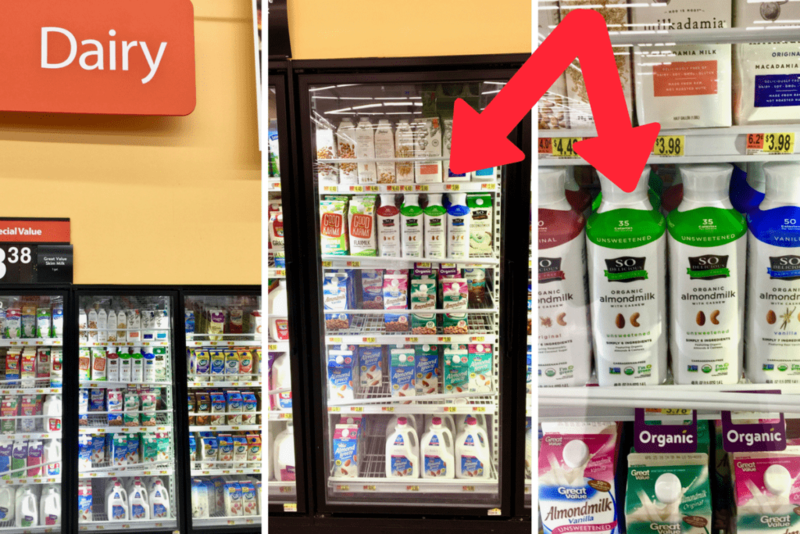 I was really excited to find this new line of non-dairy milks, because they use minimal ingredients (carrageenan- and preservative-free) and are also ORGANIC! That can be hard to find in this category, and especially for the price, it’s quite amazing! 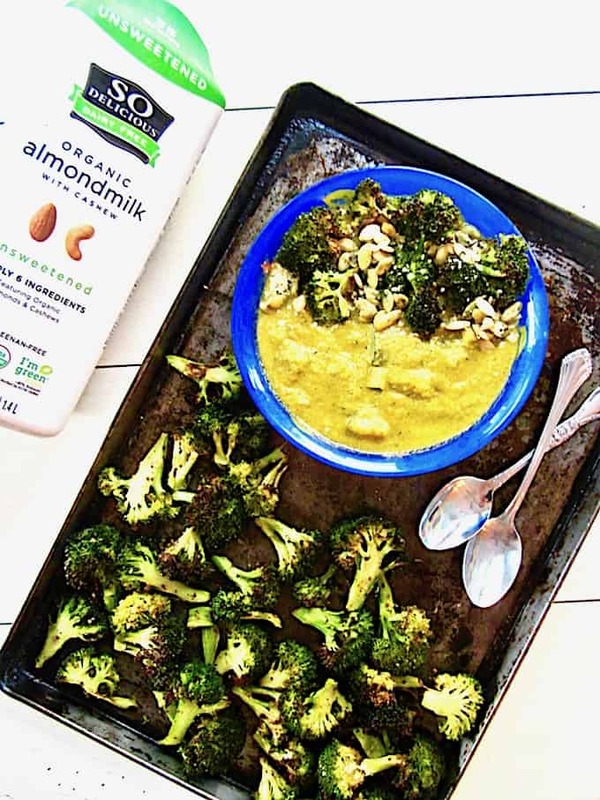 The blend of cashews with almonds really makes for a smooth, balanced creaminess. I got all 3 flavors – unsweetened, original and vanilla – and have been enjoying them in my morning herbal coffee, poured over my homemade Healthy High- Protein Grain-Free Granola (Sugar Free!) 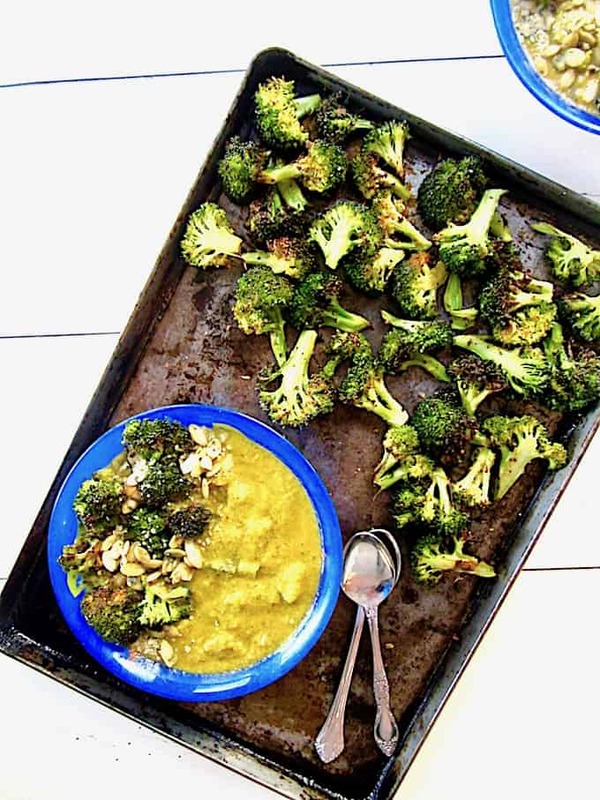 with some fruit, and in recipes like this Cream of Broccoli Soup. They’re delicious, vegan, gluten free and organic – what more could you want out of a non-dairy milk?! 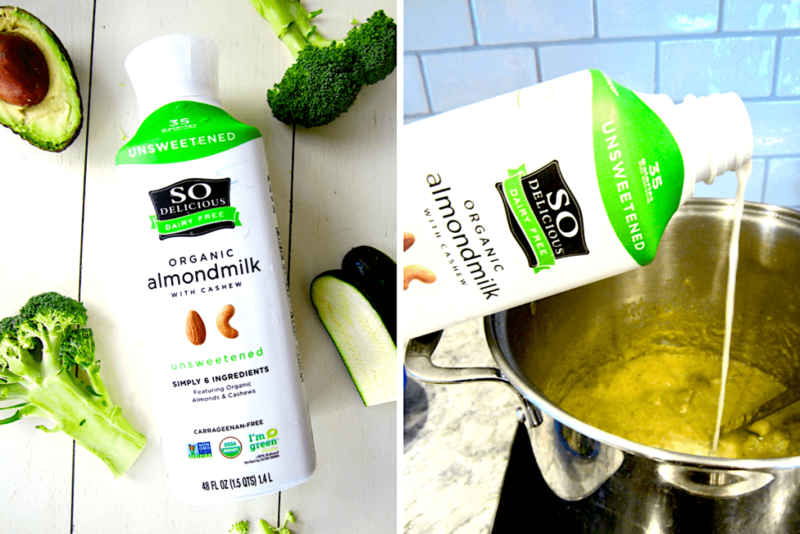 Fun fact: The So Delicious Organic Almondmilk with Cashews bottle is made from renewable sugarcane! Each bottle is made from at least 80% plants, and it’s also recyclable. You can find all 3 flavors at your local Walmart. Have you heard about the cash back app called Ibotta? If you’re not using it, you should! You’ll get deals on some of your favorite items in-store and online. I just started using it last week and already have $19.50 in cash back! Check out your favorite places to shop – everywhere from Whole Foods to Walmart to Costco to Harris Teeter to Vitacost (and literally hundreds more) – and see what cash back rebates are listed for that store. Click whichever items you’re interested in, shop as usual, and then redeem your cash back for those items by either uploading a picture of your receipt or linking a bonus card. Ibotta uses the data to match the items you actually bought with the current rebates, and you literally get cash back into your account! 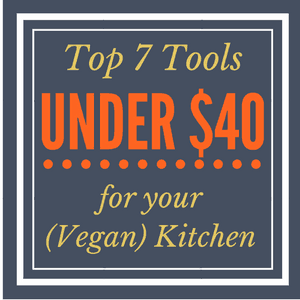 I get really excited about these things, because really, who doesn’t love easy tips and tricks to save extra money, especially with something like groceries that you’re already buying anyway? 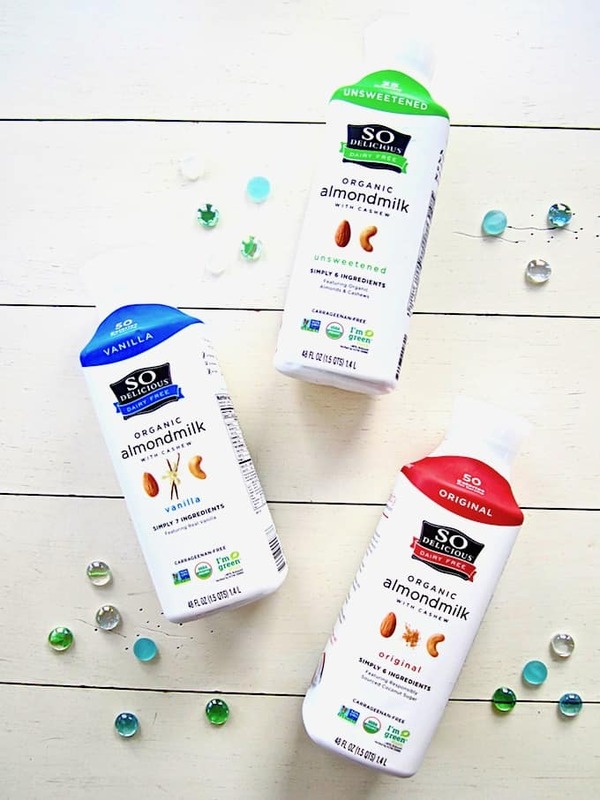 For example, right now there’s a $1.00 cash back in Ibotta for the So Delicious Organic Almondmilks seen in this very post (and that’s $1.00 PER bottle)! Go here now to download Ibotta, set up your account and start saving on your next purchase! This easy, Vegan Cream of Broccoli Soup with Zucchini is a nourishing, clean eating recipe that is so delicious and simple, you'll come back to it again and again! Plus: save on your next grocery bill with the Cash Back Rebate App, Ibotta! Heat a large pot over medium-high heat. Add the coconut oil, and when warm, add the onion along with the spices (celery seed, salt, pepper, turmeric or Indian curry seasoning). Saute for about 5 - 7 minutes, until onions are soft. Stir in the almondmilk, veggie broth, zucchini, broccoli and hot sauce. Let simmer for about 10 minutes, or until veggies are soft. Blend about 2/3 of the soup with the avocado until creamy, then pour back into the pot. I like to keep some of the texture of the veggies, but if you want a completely pureed soup, blend it all. I like extra roasted broccoli on top of my soup! For this, preheat the oven to 425 degrees F. Spray baking sheet with cooking spray. Chop broccoli into florets, put on baking sheet, and spray with oil (I like to use propellant-free coconut or avocado oil). Season generously with All-Purpose Seasoning, Garlic Powder, salt and/or pepper. Bake for 15 minutes. Stir/flip broccoli, and cook for another 15 - 20 minutes until roasted. 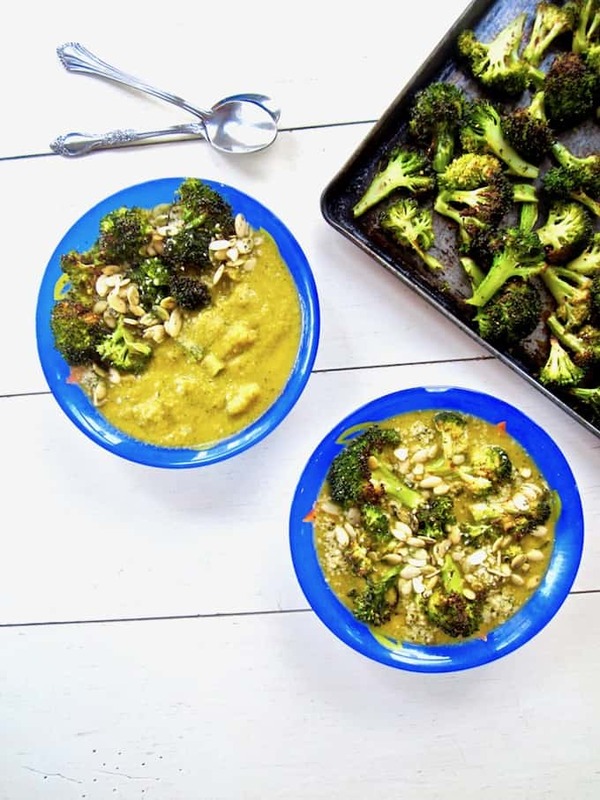 Top soup bowls with roasted broccoli, hemp seeds and/or pumpkin seeds. Almond milk with cashews? Shut up. Did I just die and go to vegan heaven?! hahaha That combo is like a dream come true for me. soooo yummmy. I bet it makes for a super creamy soup! Thanks for the recipe babe. I'm loving all of the green veggies in this soup! I actually have a bottle of the unsweetened almondmilk with cashews in my fridge right now. It's good stuff! Oh my! I love So Delicious, such an awesome brand. This looks amazing - can't wait to try it! I've been looking for a good Cream of Broccoli Soup and this looks like it! YUM!